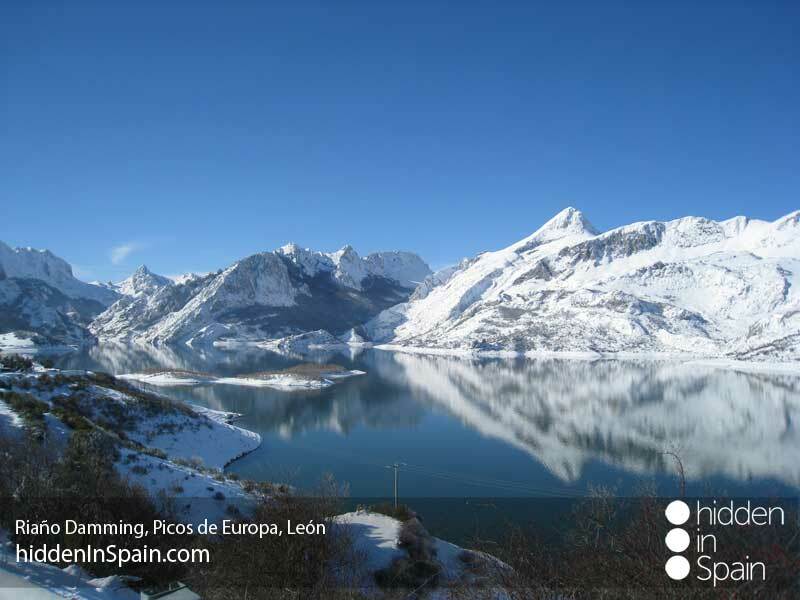 This route will take you through León visiting great sceneries and magnificent monuments. 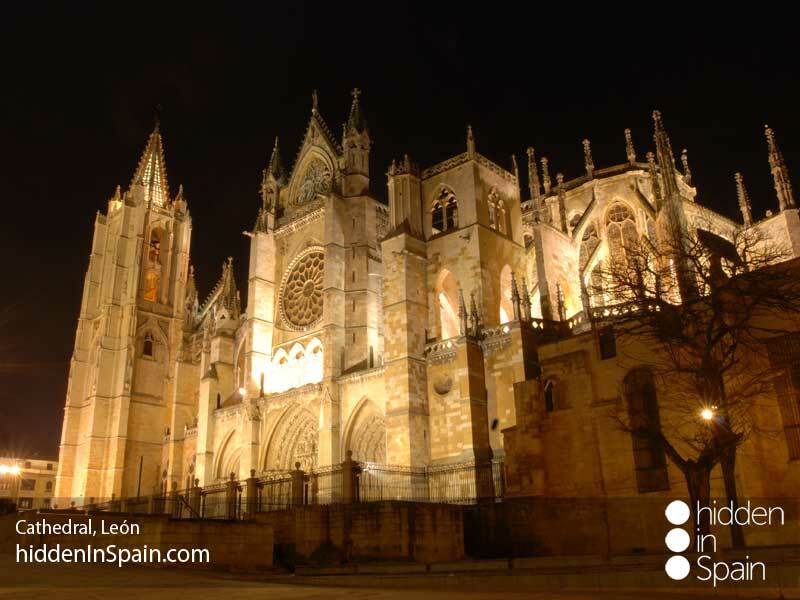 It is part of the traditional “Camino de Santiago” and its capital is a very nice city to visit walking. 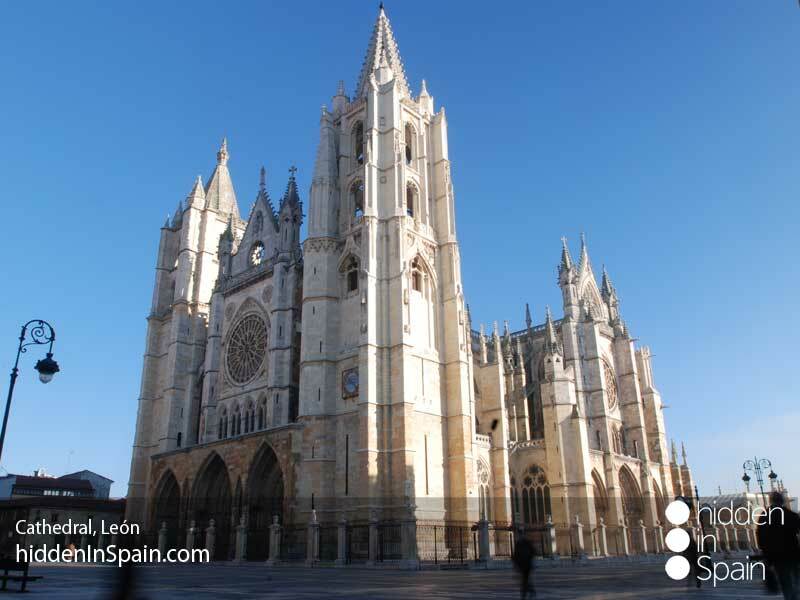 It is a seven days journey in which you will try very good food, specially meat and Serrano ham, “chorizo” (pepperoni), “salchichón” (salami), cheeses and the nationally renowned “cecina” (cow ham). Morcilla (black pudding) is another traditional food in León but no one as the “cocido”, a 3 courses meal made-up of soup, peas and meat. People are rough and hard but very polite and hard workers. They really love going out and have a drink with which they get a free “tapa” (small portion of food). Very high-minded and with a great heart. You will also have a friend forever if you take the time to know them. 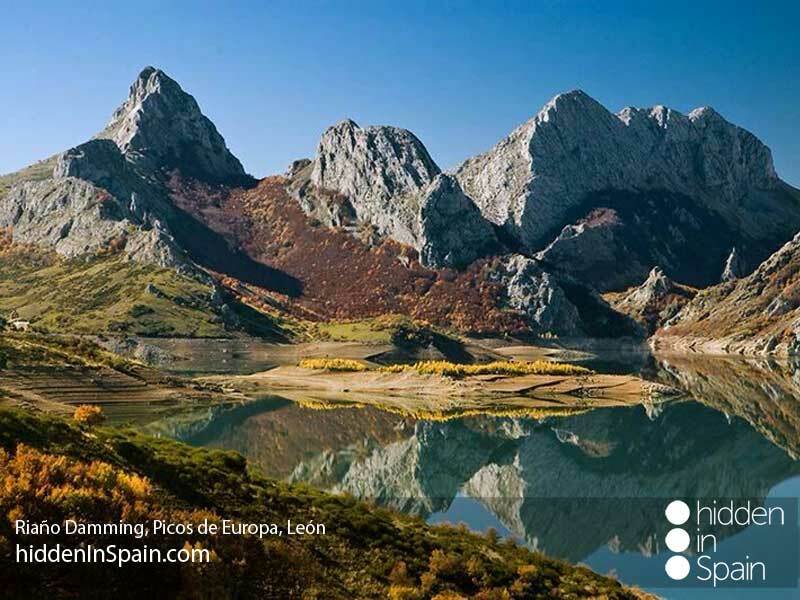 Arrive in Spain and travel to León. 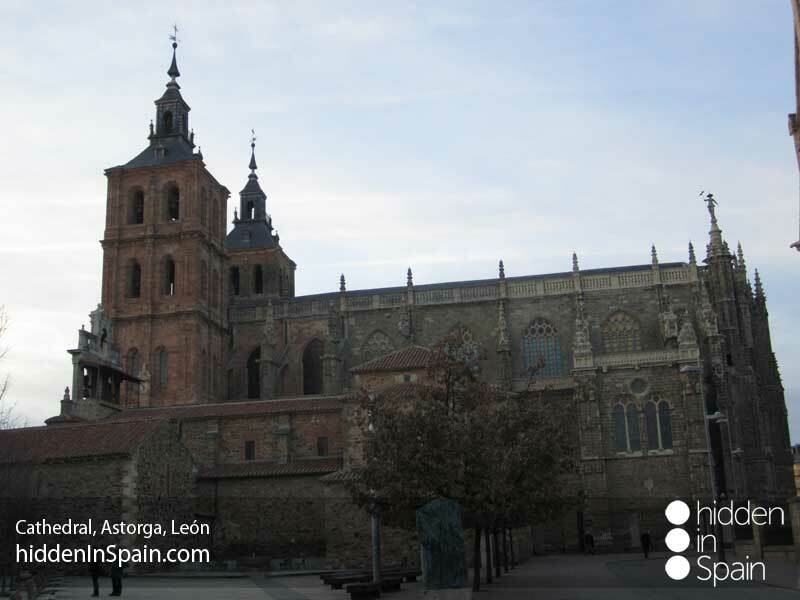 It is a city full of history and a really comfortable place to visit walking. 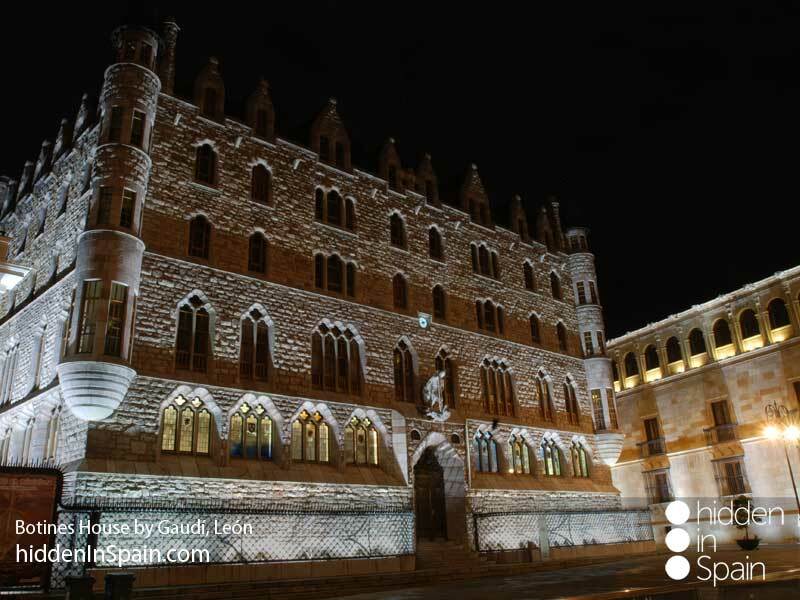 You can´t miss “Hostal de San Marcos” (was a jail hundreds of years ago and renewed as a hotel, one of the only two 5 stars hotels with the distinctive of Great Luxury), “San Isidoro” church, Gaudi´s building (holds a bank nowadays), the old town (called “Barrio Húmedo” → “Wet neighborhood) and the great cathedral. 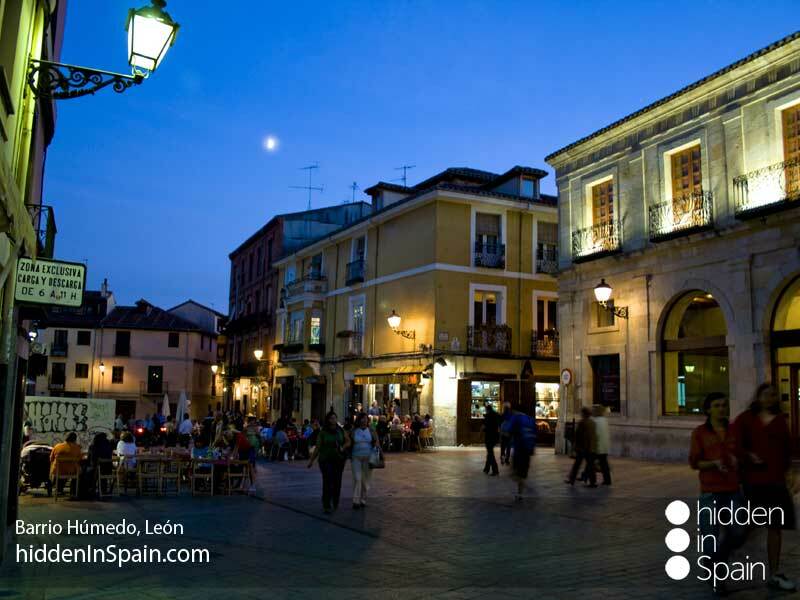 In this town it is typical to ask for a beer, wine or anything and get a free “tapa” (small portion of food). 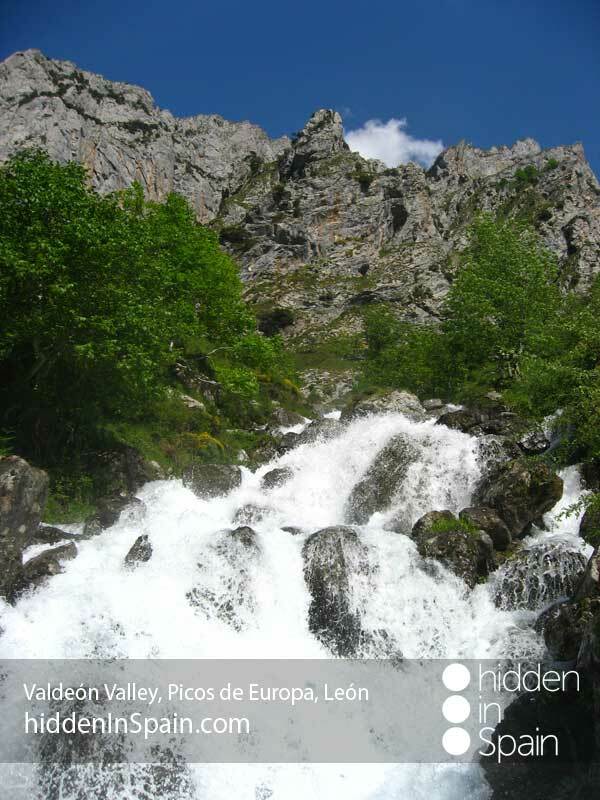 You can also enjoy a relaxed walk in the bank of the river Pisuerga. 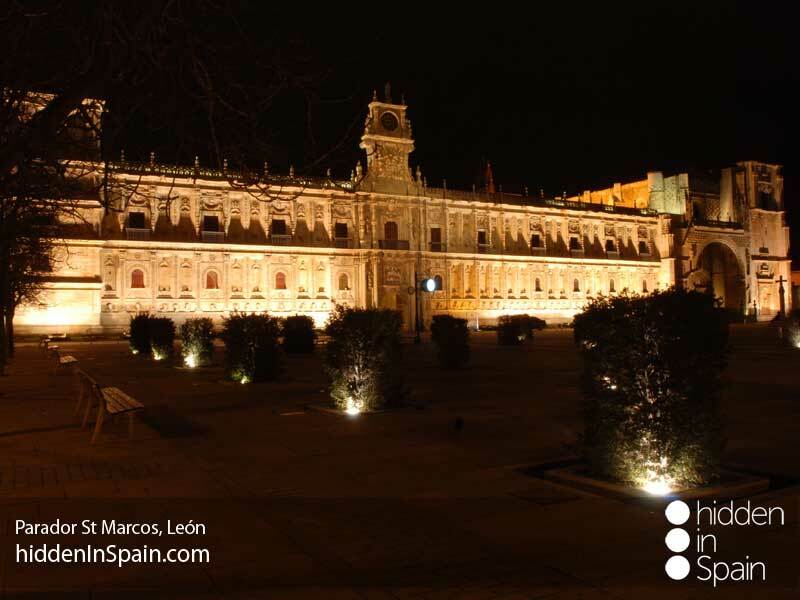 At the end “Guzmán” square show us the way to the train station. 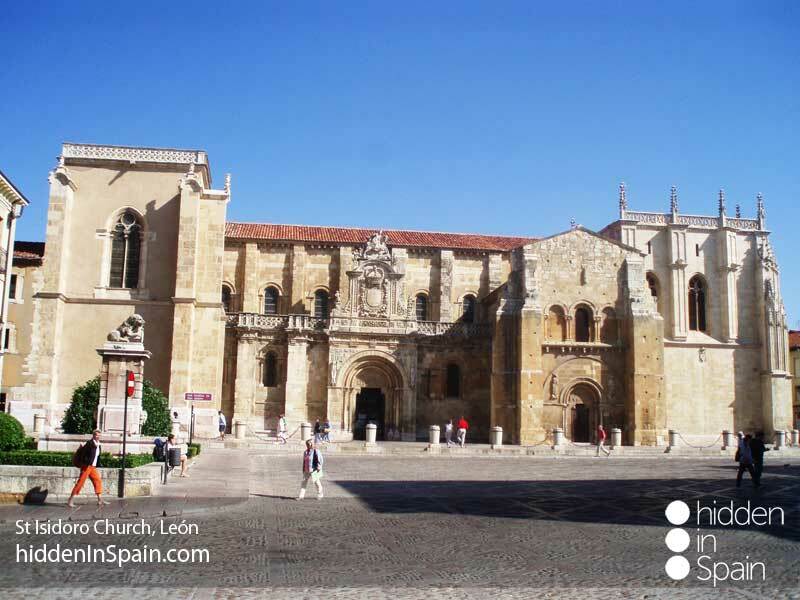 If you want to go shopping go to “Ordoño” street and surroundings. 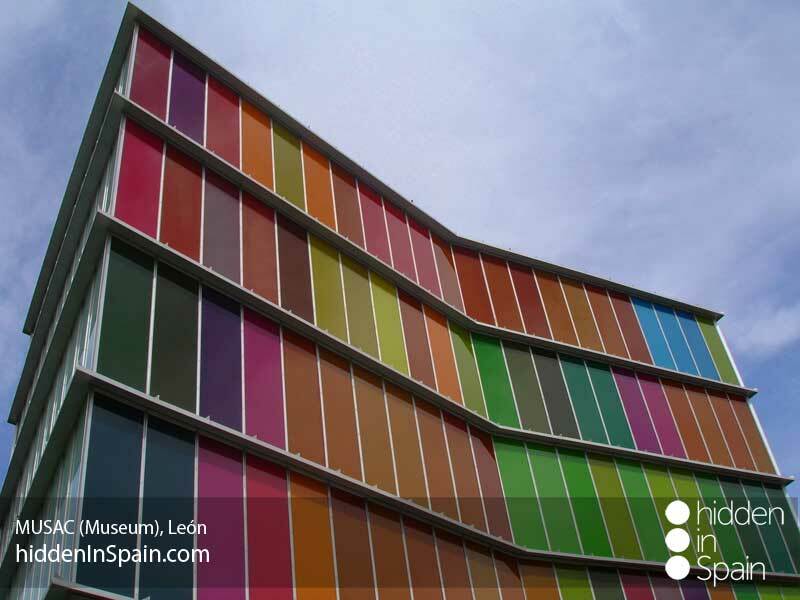 The auditorium and the “MUSAC” (Contemporary Art Museum) talk about the modernity of this ancient city. 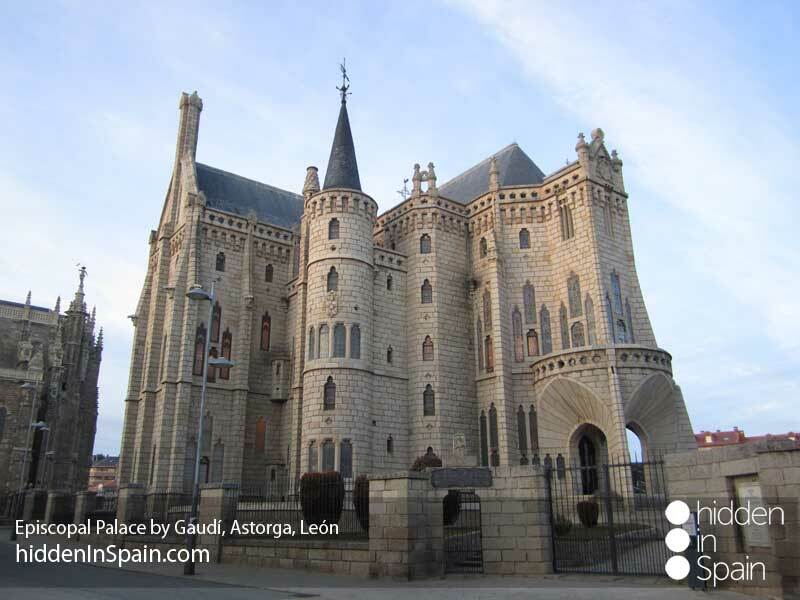 Drive to Astorga, another stage in the “Camino”. With just over 11,000 inhabitants has a historical and artistic heritage hard to equal, which has made of it one of the most tourist places of the province. 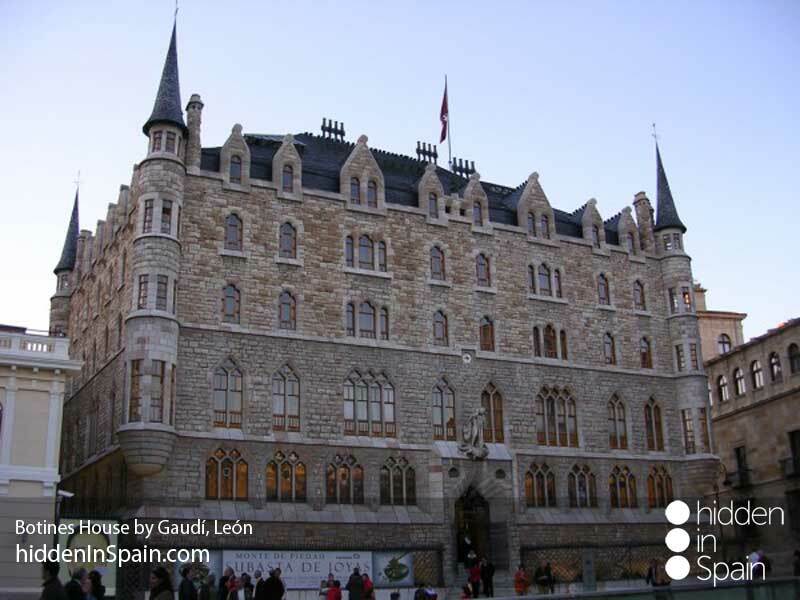 Its beautiful cathedral, Gaudi´s building, the roman bridge, and the Mayor Square with the city hall are all compulsory to visit. 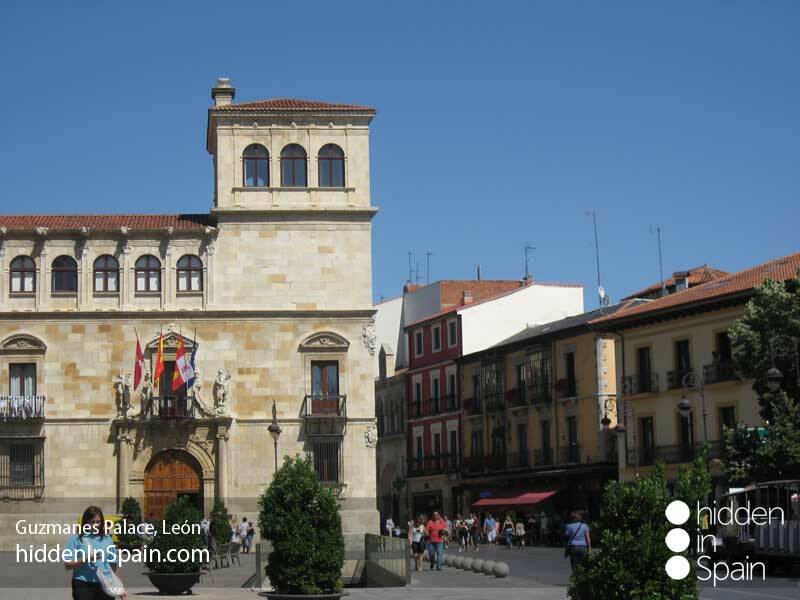 The clock of the city hall must be seen “o´clock” as two figures come out to ring the bells every hour. 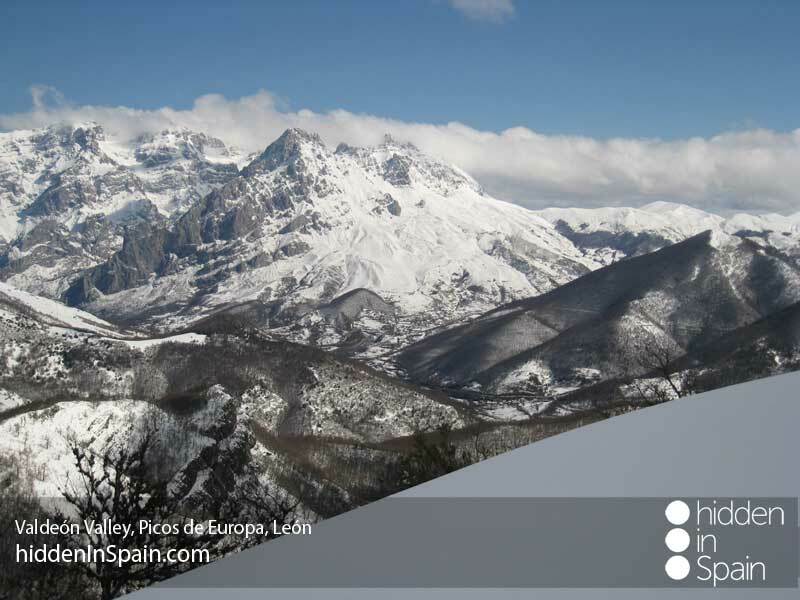 Keep on to Villafranca del Bierzo. 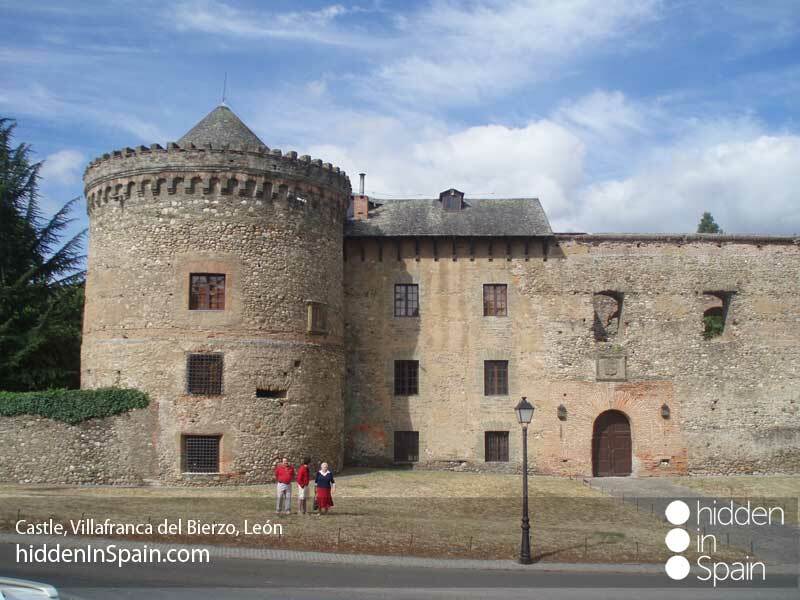 Before you can make a quick visit to Ponferrada, the capital of the area (Bierzo) and visit the templar castle. 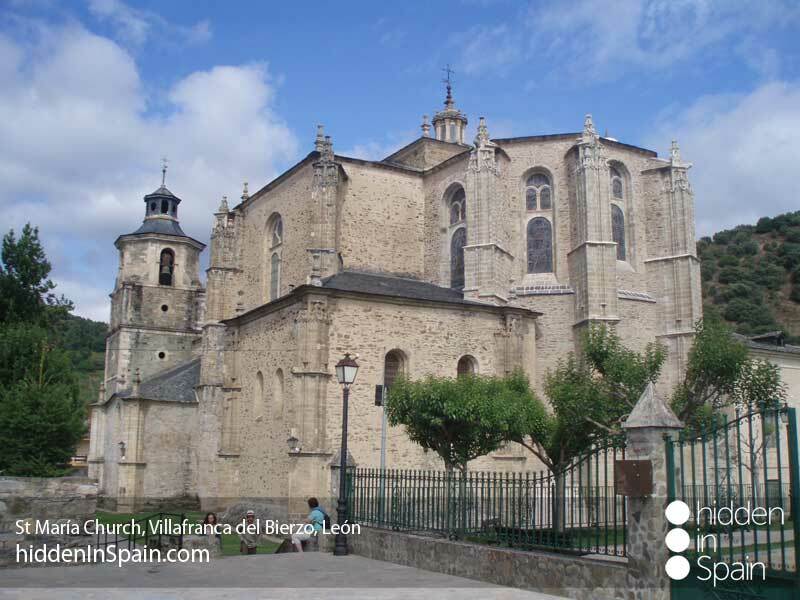 Villafranca is one of the most beautiful villages in the “Camino de Santiago”. All of it is worthy to see. 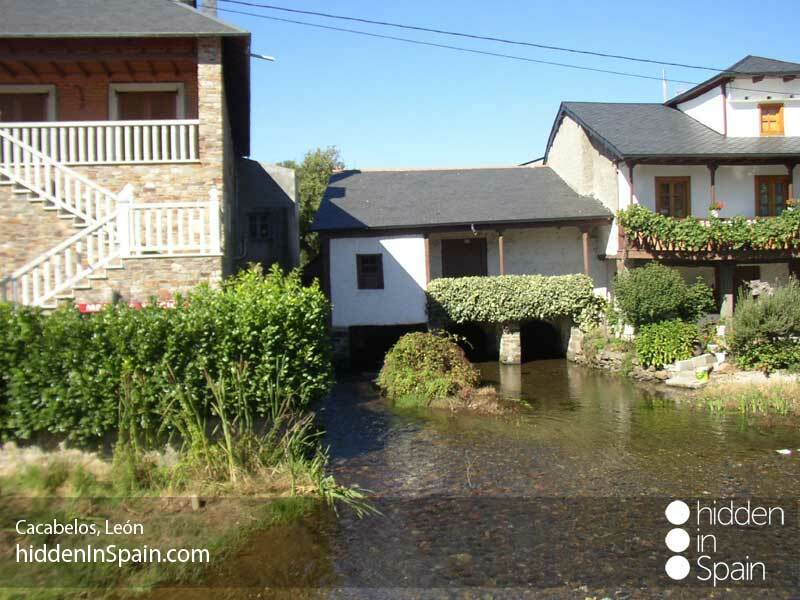 In its narrow streets you will find as many shields as traditional buildings with its wooden porches and slate roofs. 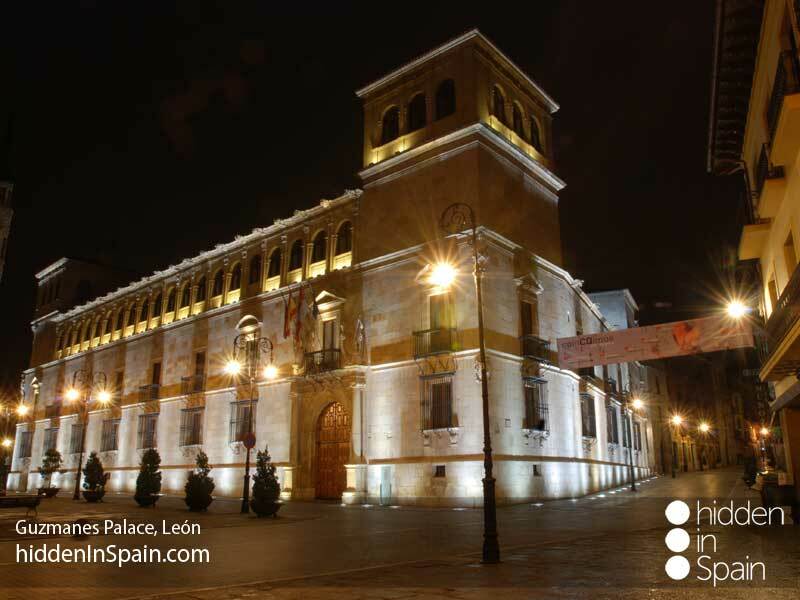 In “Calle del agua” (Water street) are concentrated all the palaces, the stately homes and the little wineries where local people meet. 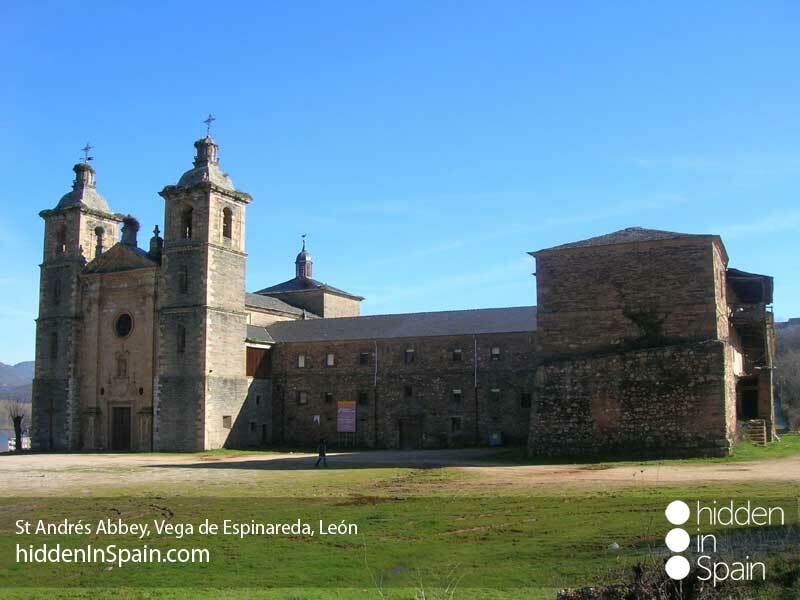 Outside this village you can find the “Santiago” church in which those unable to finish the “Camino” go and apologize in its main door called the “Forgiveness door” (Puerta del perdón). 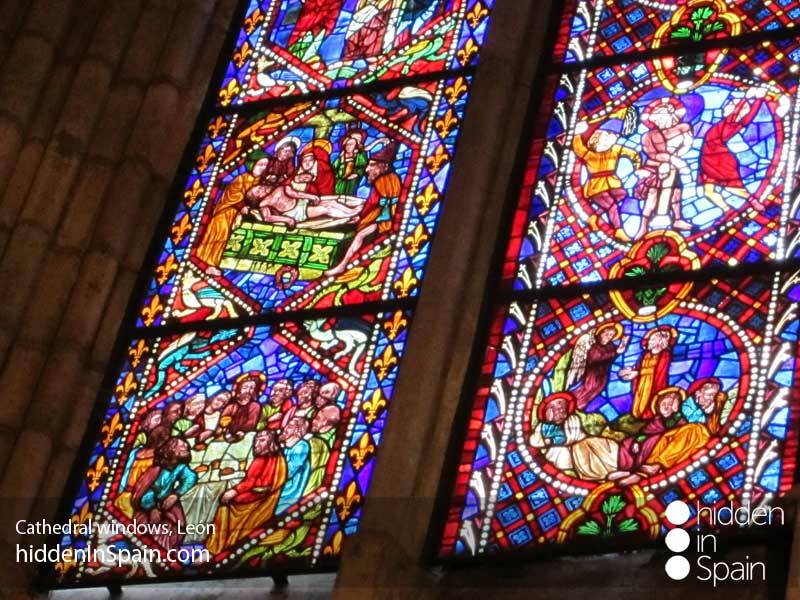 Your next stop is a must – see if you are in the area. 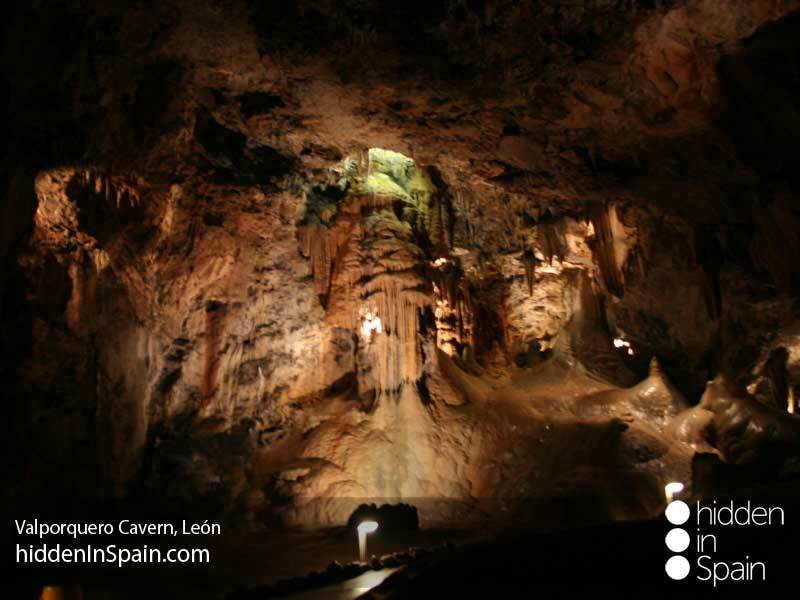 Las medullas were declared human heritage in 1997. 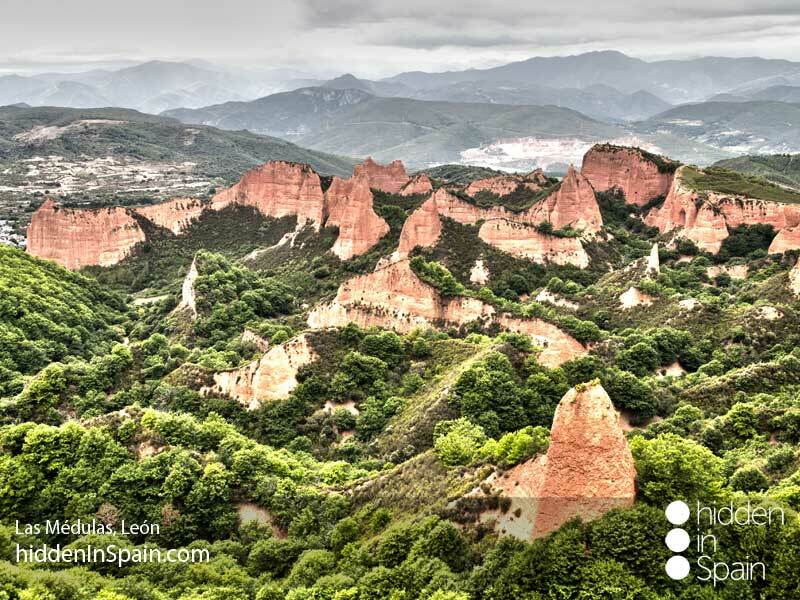 The beauty of this place are the small reddish hills full of green vegetation, with amazing effects of sunlight, formed after the landslide that made the Romans to extract gold. It was the biggest mine of all the Roman Empire. 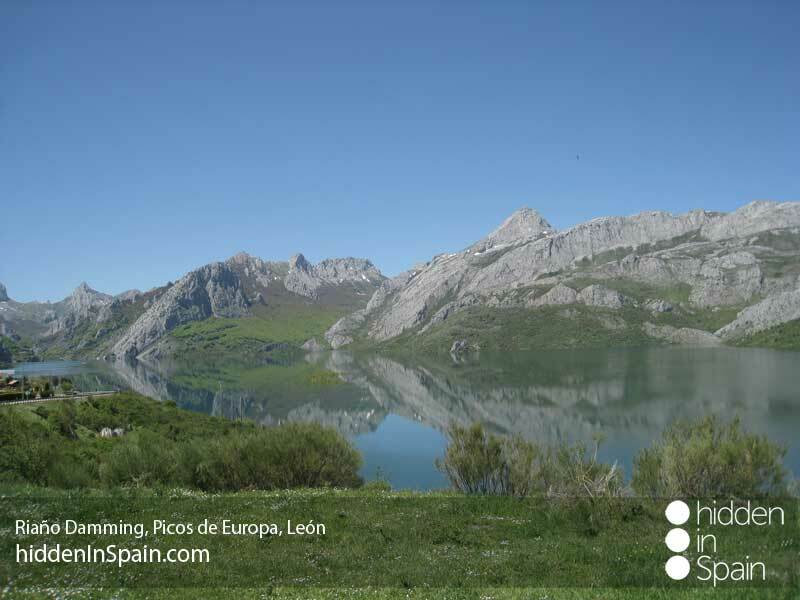 Walk to the lake and to the “Orellán” viewpoint. If you do so when sun is rising or setting will be a picture you will never forget. 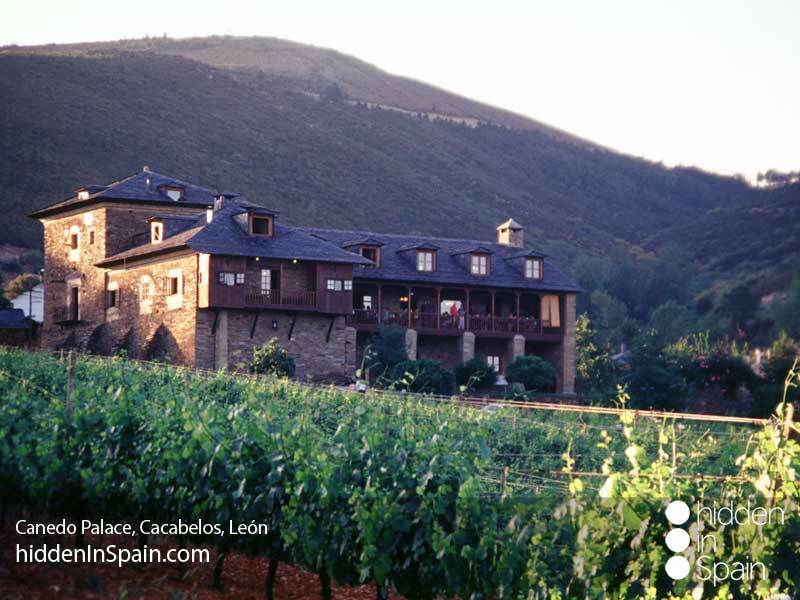 Go on to Cacabelos., a small village rounded by vineyards and traditionally dedicated to wine elaboration “vino de El Bierzo”. 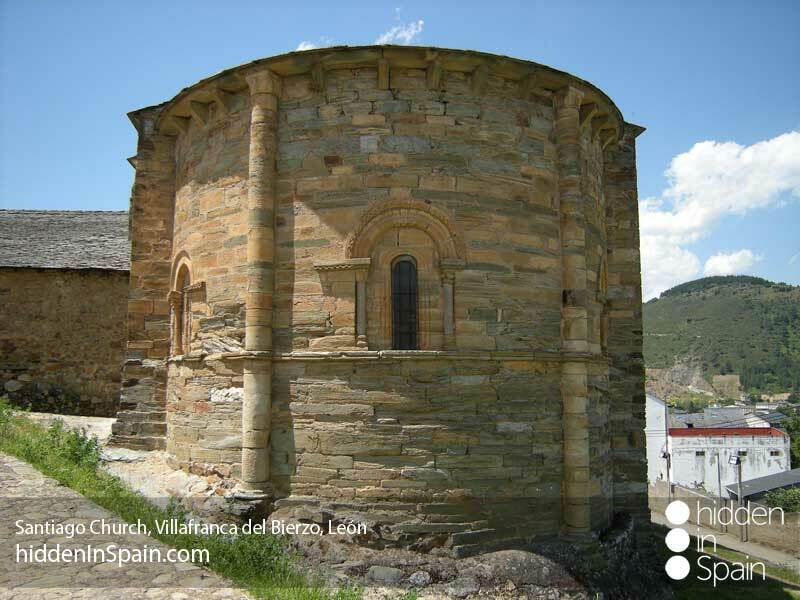 Walk in the village to discover some traditional buildings and churches as the Santa María” church. 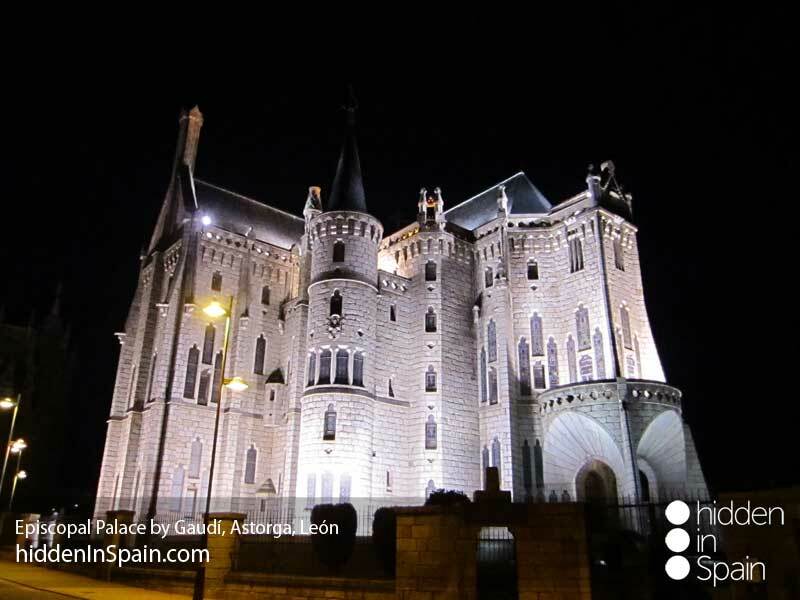 Try one of the wines produced in the region and go to Canedo, where you will overnight in a wonderful palace. 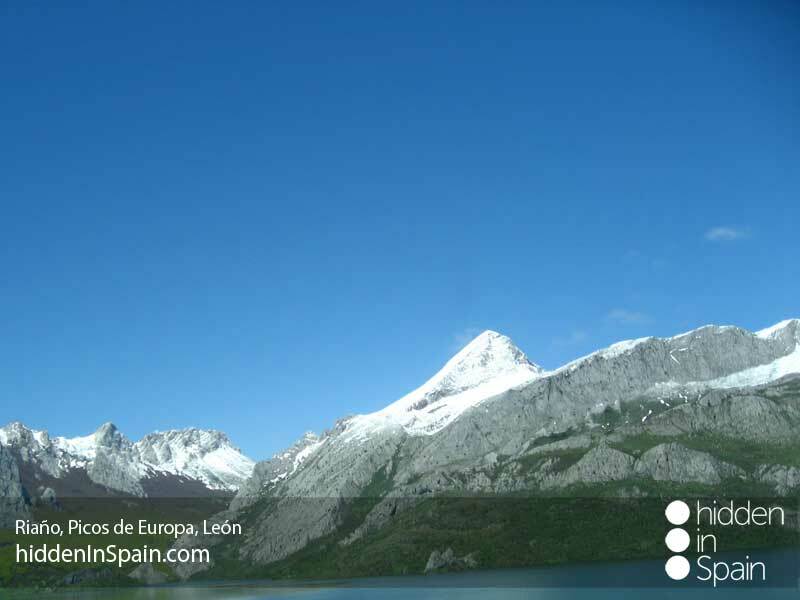 Today you are entering in the eastern part of the mountains of León. 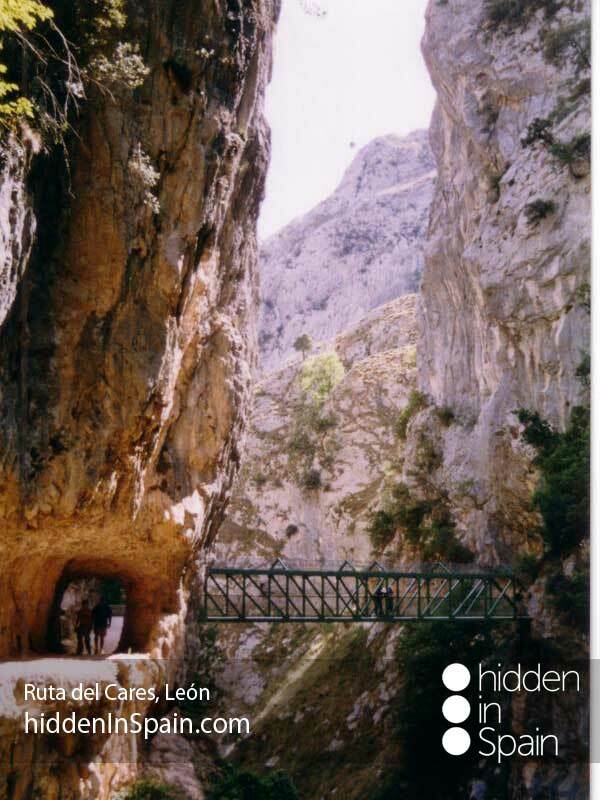 Vega de Espinareda is a very small village you will pass through but make a short stop to see the Roman bridge, the cave paintings, the “San Andrés” monastery and its “Fountain of Life” (Fuente de la vida). It is said that if you drink seven times from it you will be healthy for life. 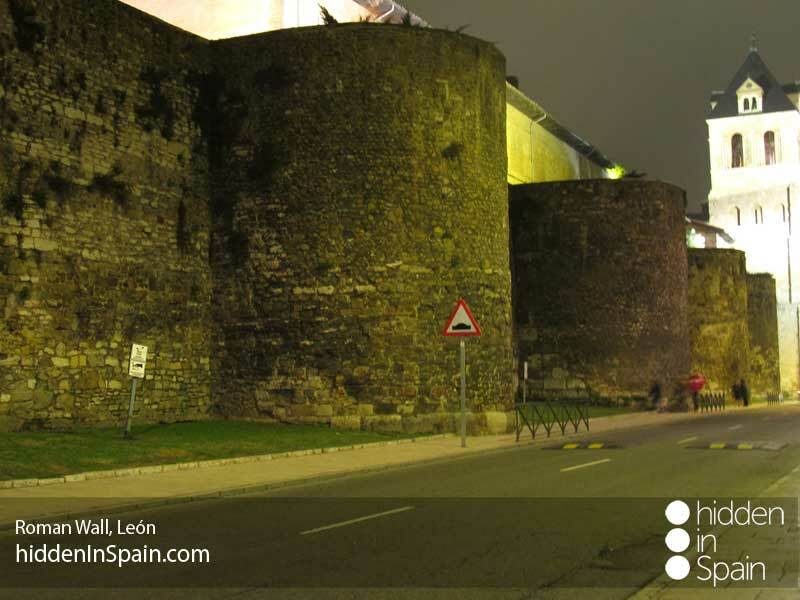 Drive on and pass through Fabero, which is dated in the 10th – 11th century. 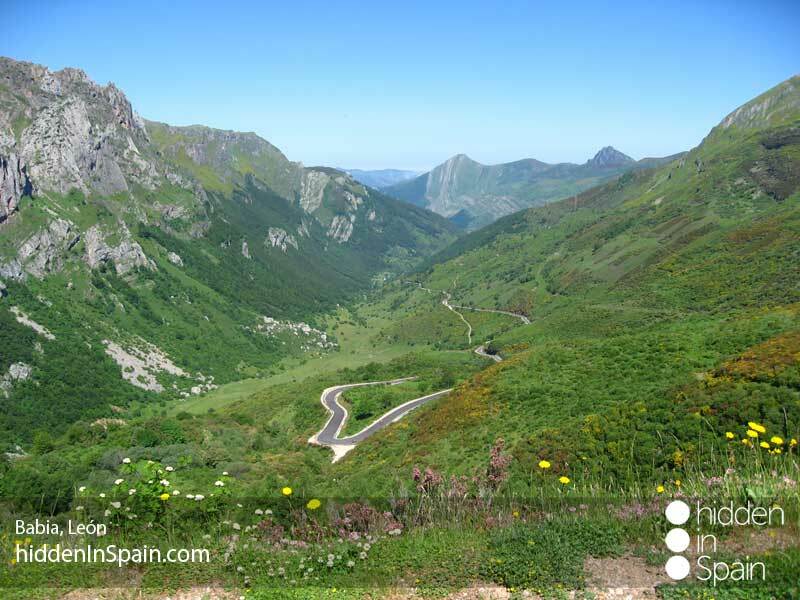 Don´t miss the “Castro” near Peranzanes though you will have to turn aside for a while. It is a fortification of the Iron Age inhabited in the I century B.C. 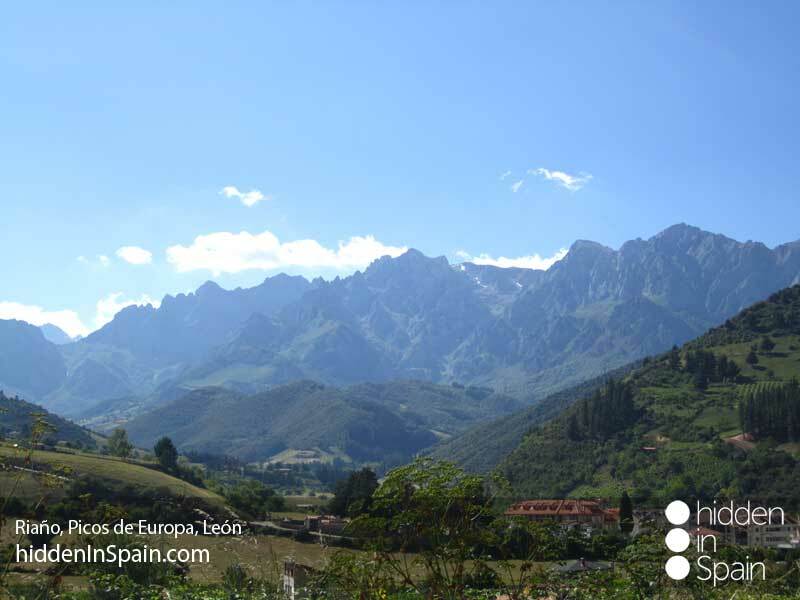 Keep on to Villablino and walk in this minning town, where to relax and see the “miner fountain”, “Sierra y Pambley” house (traditional house of the area) and the “Campanona” (Big Bell) with engravings of the “Divina Comedia” of “Dante”. There are plenty of places for hiking or fishing in the area. 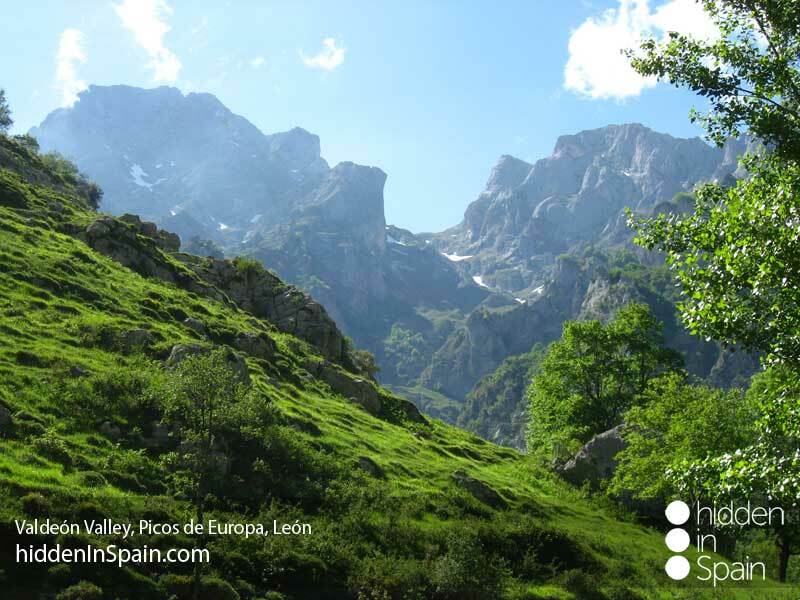 Time to move to Babia where you shouldn´t miss San Emiliano de Babia, Riolago de Babia and its fortified palace, the glacial lakes or the roman path that takes you to Asturias in the north crossing the mountains. 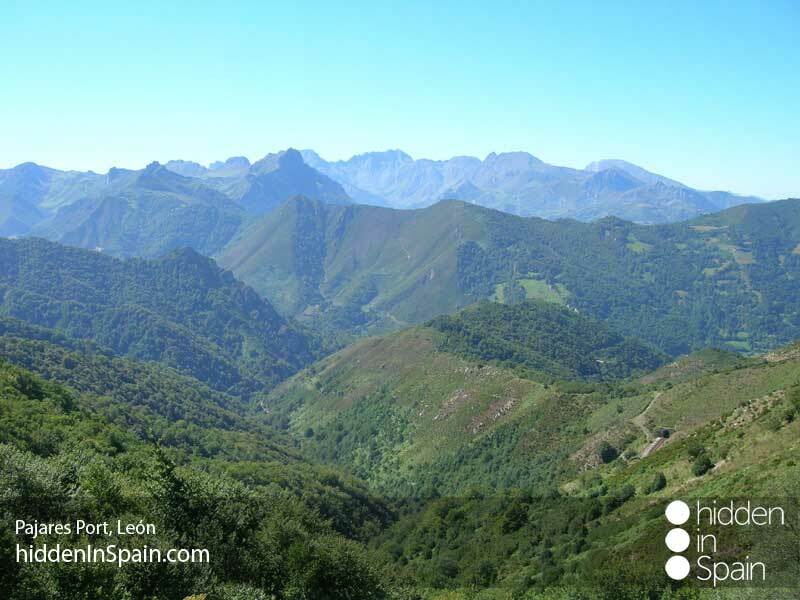 Cycling, hiking, trekking, hunting or fishing are some of the activities you can make in Babia. Overnight in Caldas de Luna. 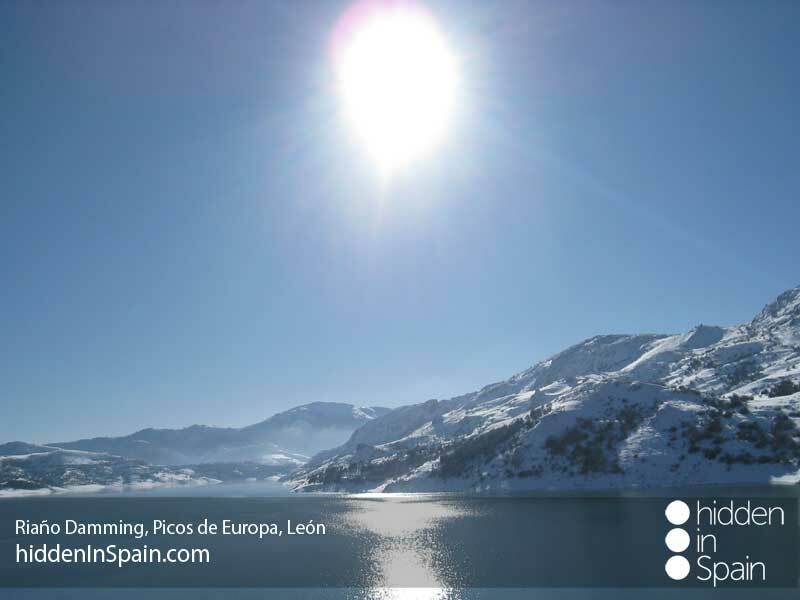 Go and see the “Luna Damming” made to cover the water needs for people in León. 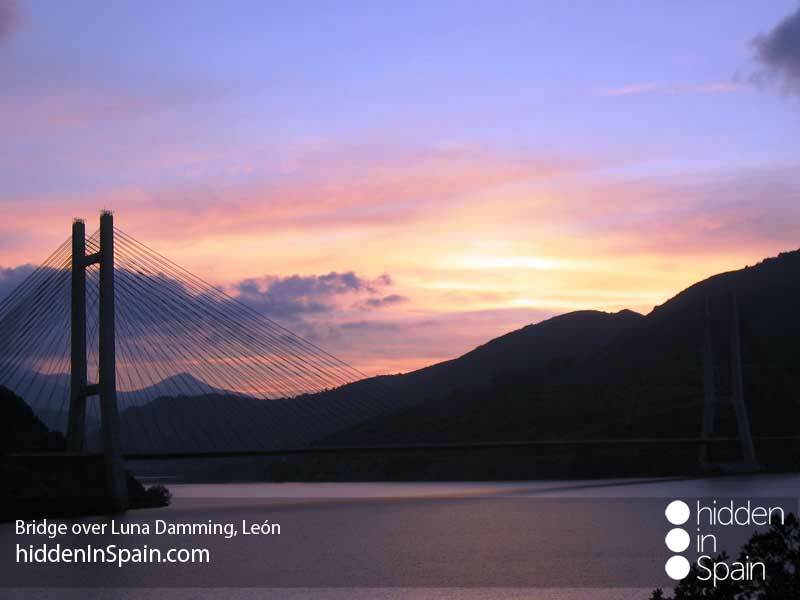 It is crossed by a spectacular hanging bridge popularly called “Fernández Casado Bridge”. 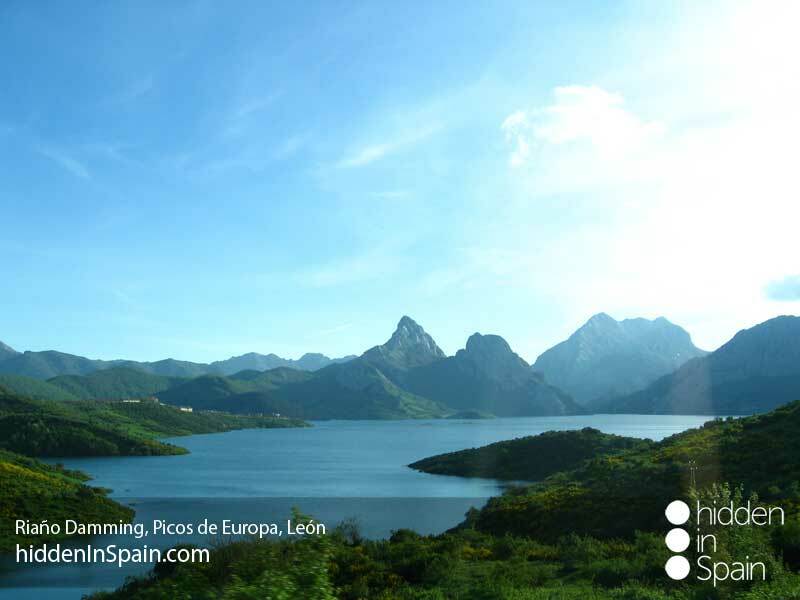 Move to Pajares and climb the port. In the way up the views are spectacular. 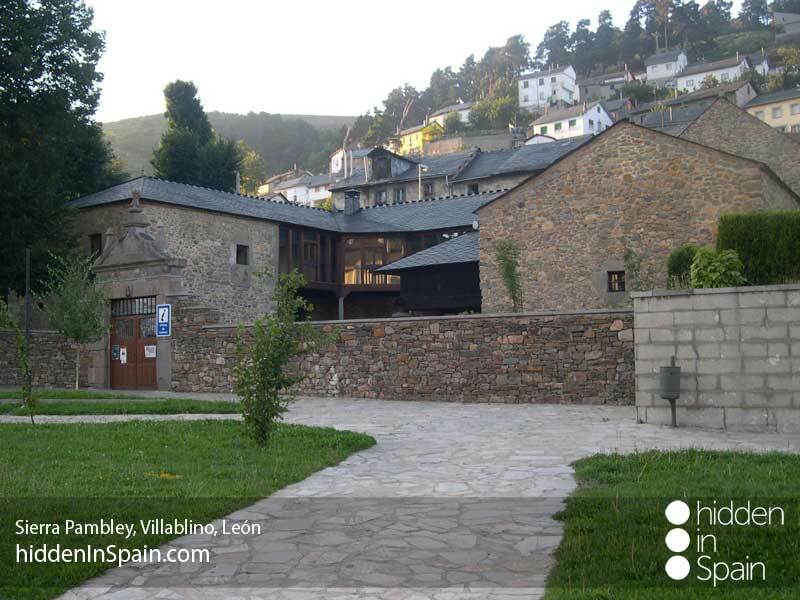 If it is time for lunch when you arrive in, move a little farther and stop at Villamanín. Ask for the popular restaurant “Ezequiel” and get ready for what it comes. 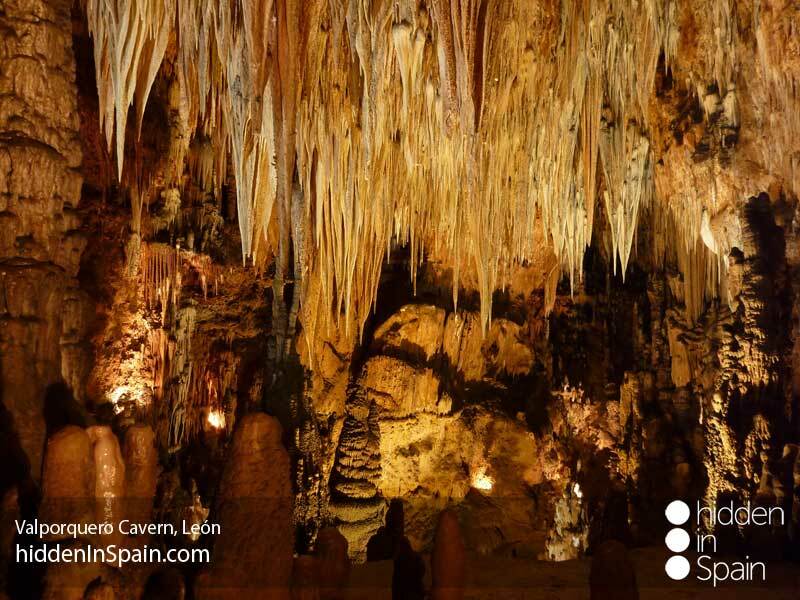 Next move to Valporquero and enjoy the visit to “Cuevas de Valporquero”, a cave with more that 1 miilion years history full of stalactites and stalagmites where 7 “rooms” can be visited. You will do it accompanied by a guide that will explain you everything while moving. 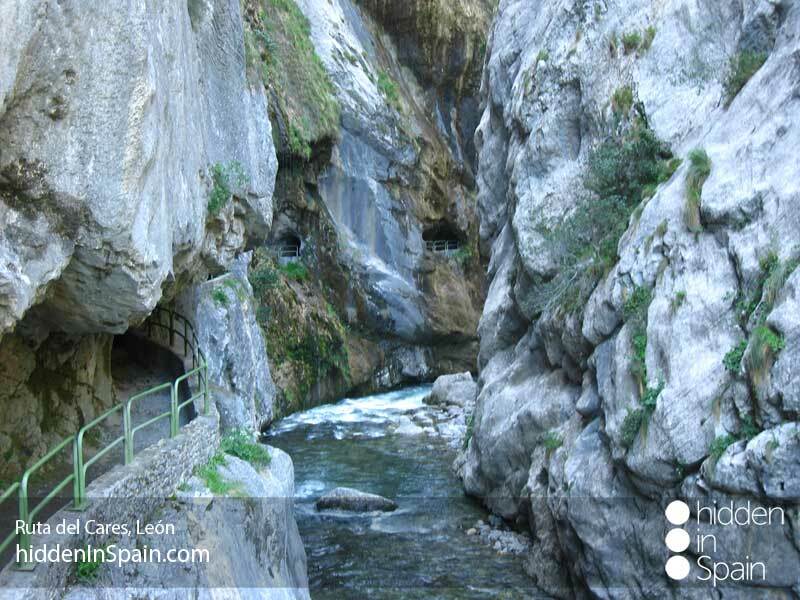 If you fell sporty you can also discover this cave canyoning with professional and expert guides (booking in advance). 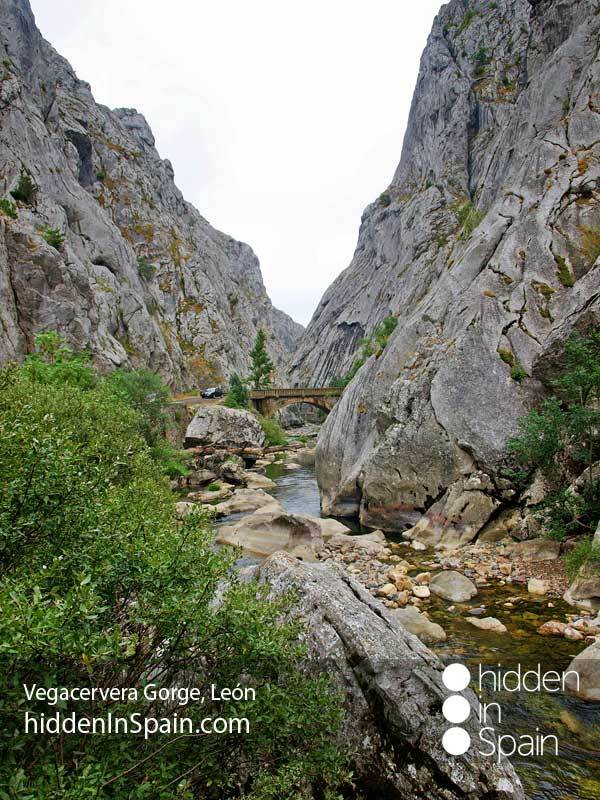 Overnight in Vegacervera. Today you are driving to the biggest damming in the province. 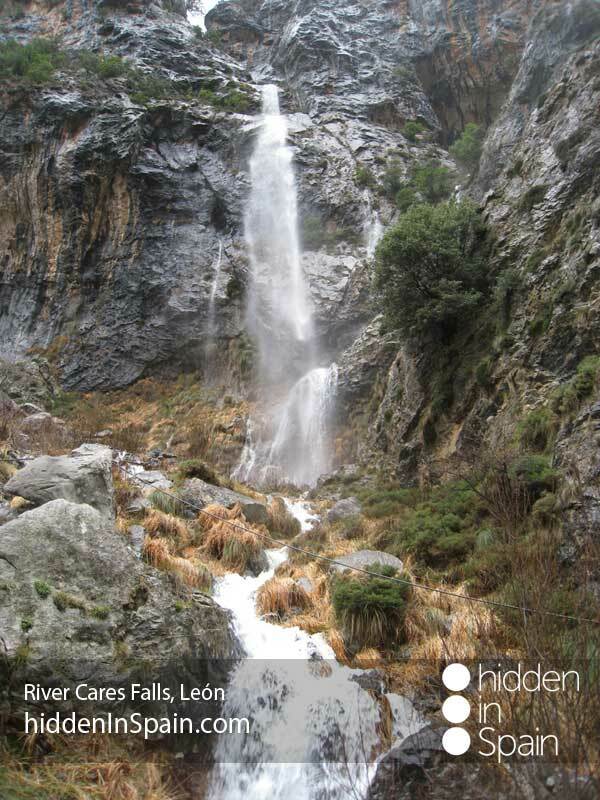 It is located up in the mountains in western León. 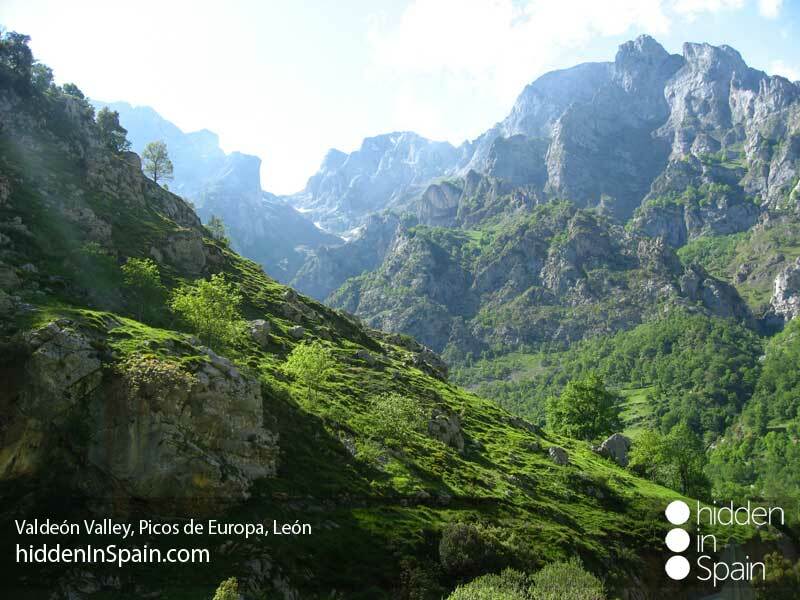 Riaño is the most important village in the area. 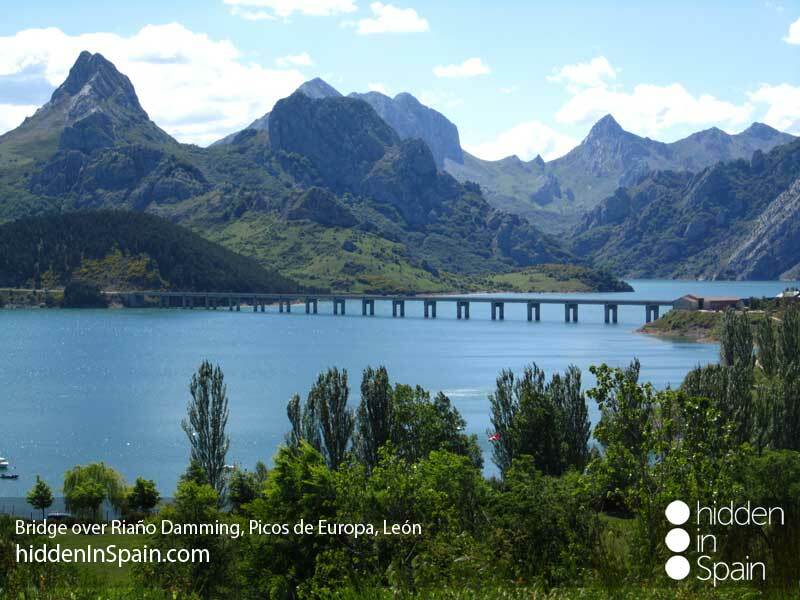 It is quite recent as in 1987 the old Riaño was sunk to make this damming. 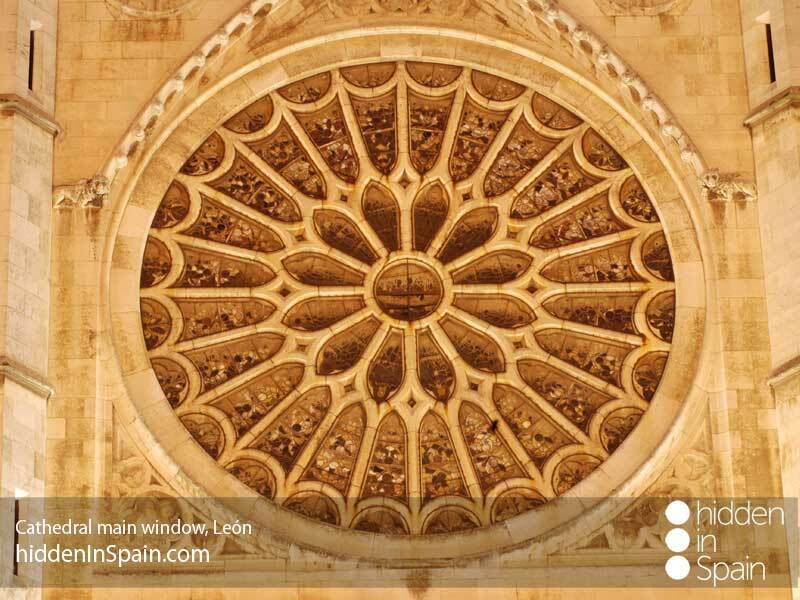 It was important for people in Castilla because it waters the fields of Castilla where a lot of cereals are produced. 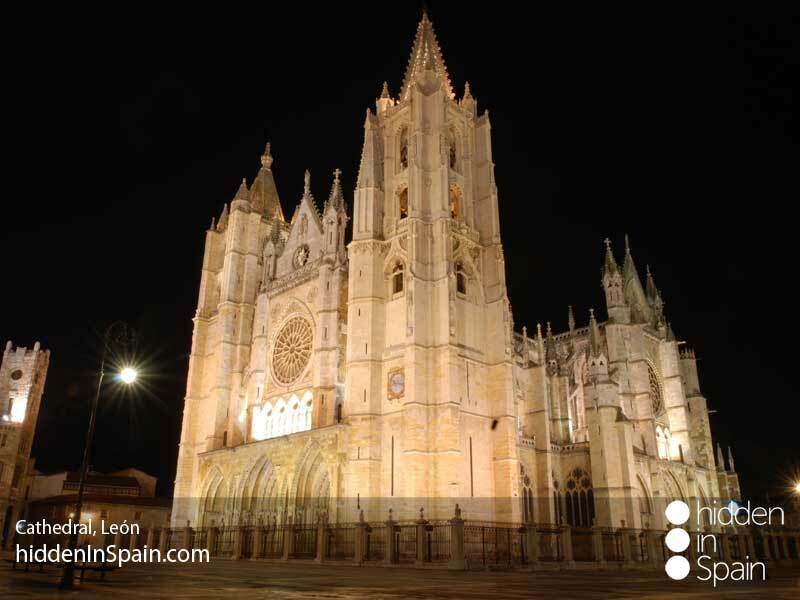 Many villages in the way can be visited just to take a walk and see the traditional buildings and churches. 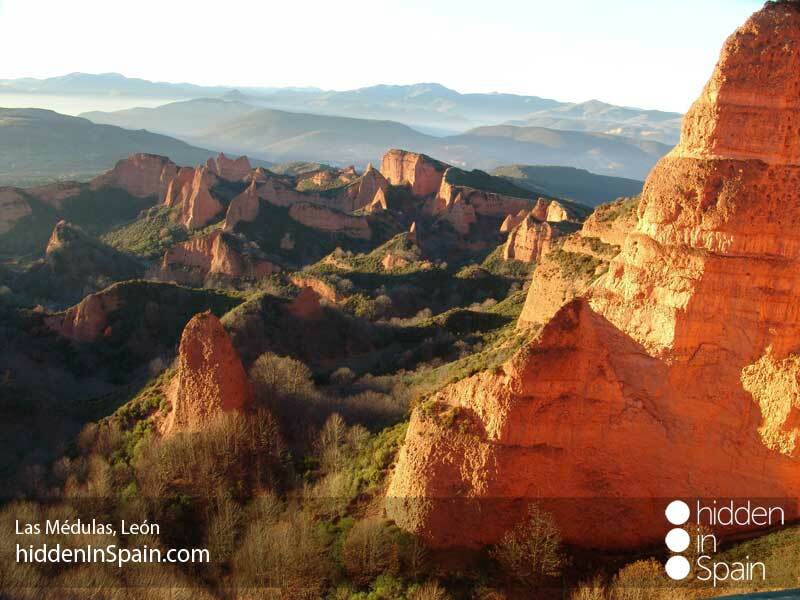 Move on to Boca de Huérgano where you can buy delicious butter cookies made in this village. 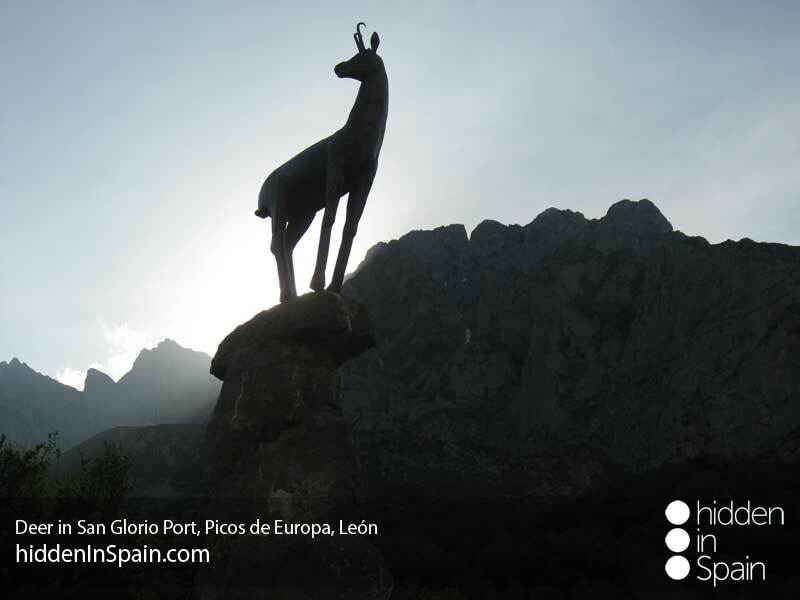 Keep on to the port of “San Glorio” and stop at the statue of the deer to get stunning views. 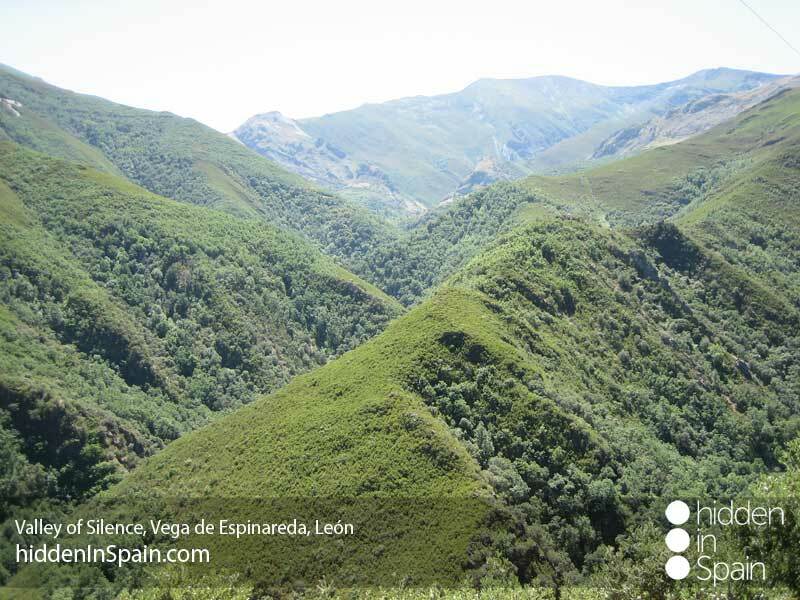 Go back towards Riaño and take the road to Santa María de Valdeón, where you will be hosted at night. 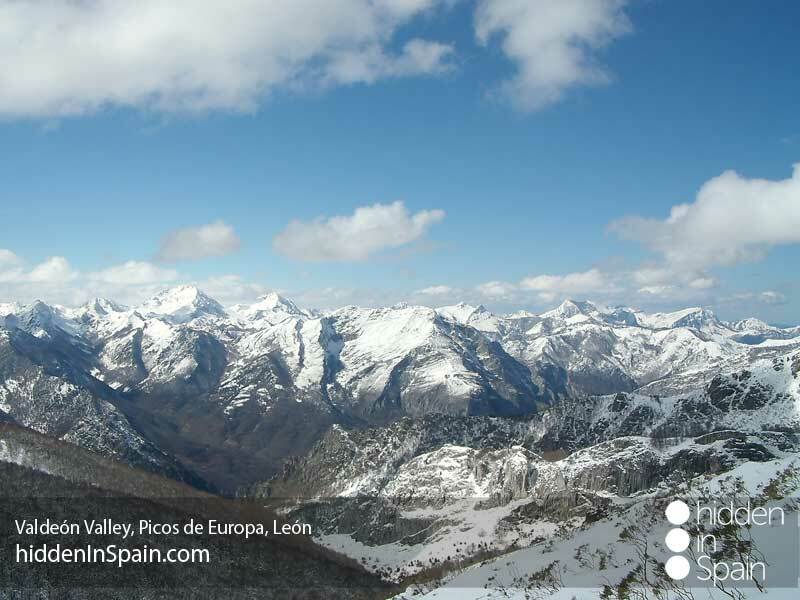 Many hiking and trekking routes can be made from here. 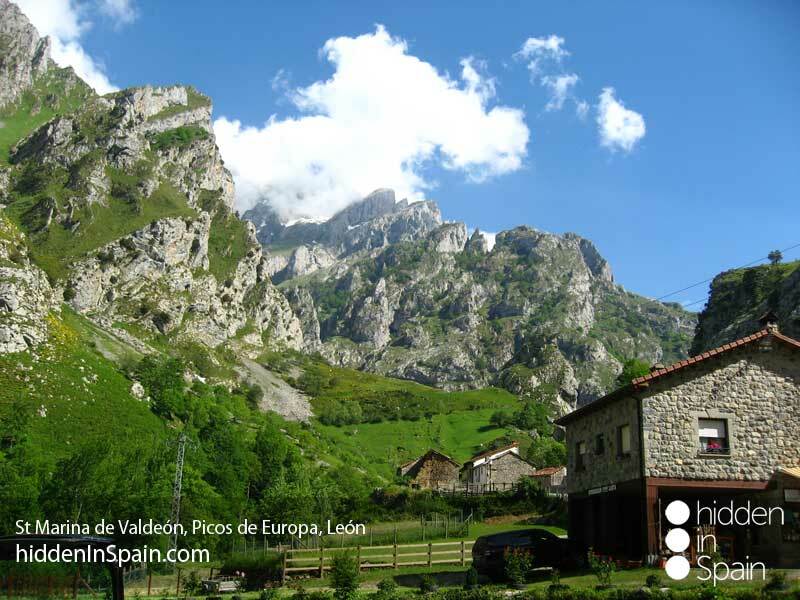 This small village is set on the slopes of the mountains. 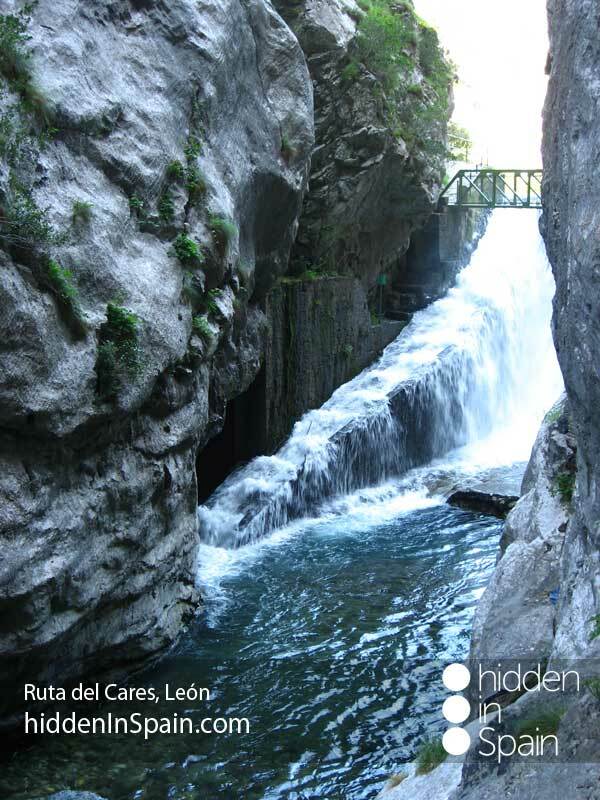 Going a little farther you get to Caín, where you can make the route called “Ruta del Cares”, a walking tour through a gorge that takes you to Poncebos in Asturias. It takes an average of 3 and a half hours to make it. Take into account you have to be back before the sun sets. 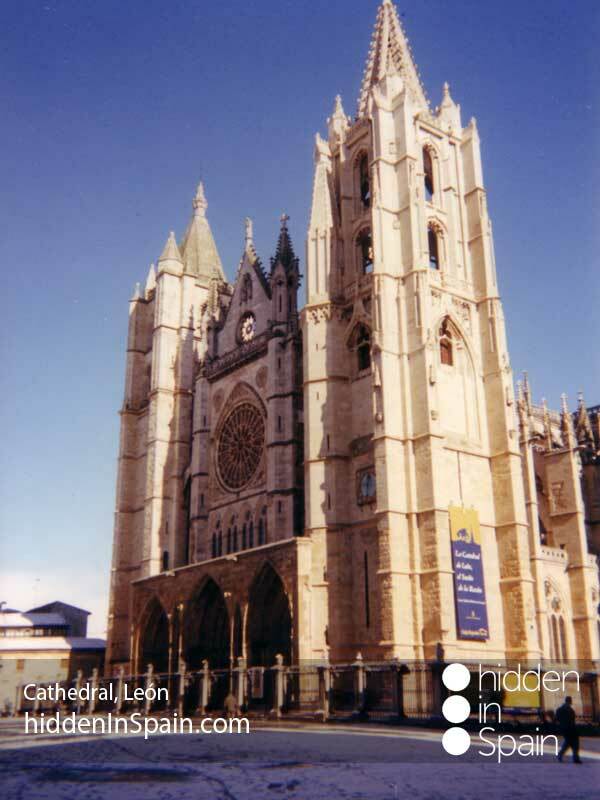 Back to León, travel to airport and return home. Any other not specified above.